Download PowerPoint PRESENTATION of Mike Haynes talking about basic furniture making. 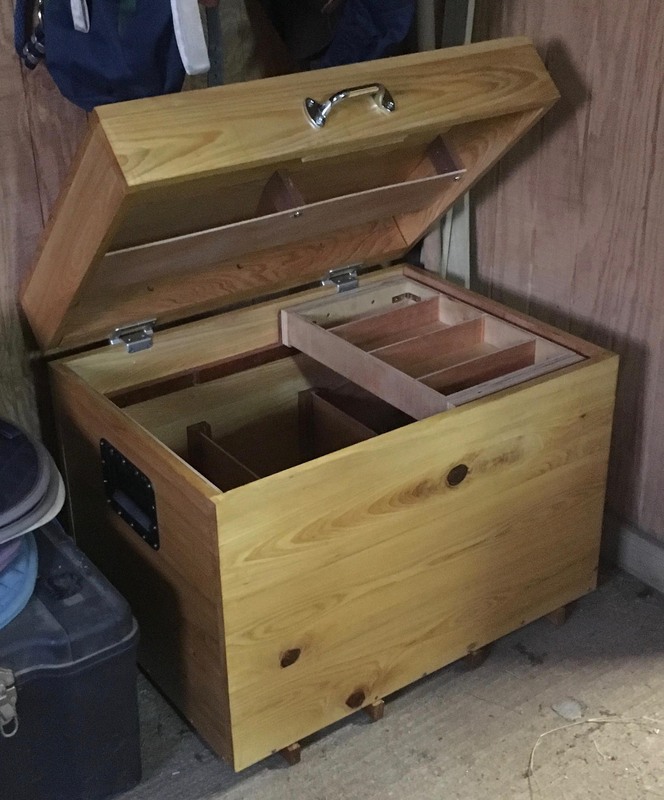 Mike Turner - A reworked work bench with lighter top and DIY wood vices. 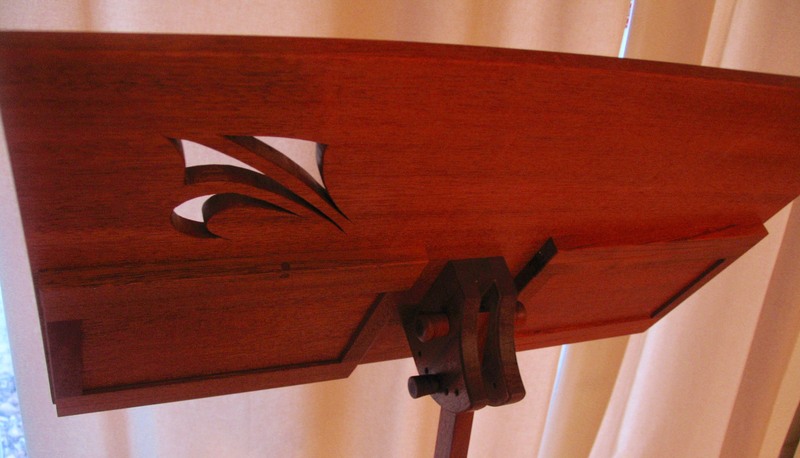 Rick Spacek - Running horses scroll saw piece with amazing detail all from one piece of mesquite. Complete with cedar stand. Norm Nichols - First time band saw project (but not the last) of mahogany and poplar. Glenn Edwards - Scroll saw cross and fish projects of Baltic birch and walnut. Richard Hash - Mechanical marvels in wood; white oak, mahogany, osage orange, jatoba, maple, mesquite, and walnut. Great demonstration of gears. Rich Bajenski - Two poplar boxes using half lap joinery. The handle of one is colored with a black Sharpie. Ron Kirchoff - A cheese and/or cracker tray finished with mineral oil and beeswax. The coves were cut on a table saw. Lon Kelley - Coasters from recycled star box "scraps"! (I hesitate to call it "scraps") Terry Parrish - Wine caddy and toy car. Here's to you! 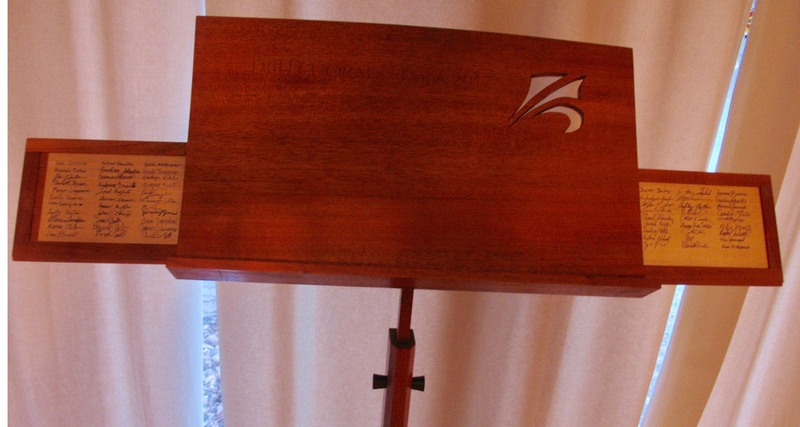 Mike Hardy - Cherry music stand using Japanese finger files for clean up of stand detail. Very beautiful!